When we cut out food dyes, I wasn’t sure what the heck I was going to feed the kids. Especially for snack time. My boys are big snackers (as am I! ), so it was kind of an important thing to figure out. Obviously, whole foods like fruits, vegetables, eggs, and plain meats (i.e., not spiced/marinated/processed – otherwise not guaranteed to be color free) are going to be dye-free. These foods probably make up the majority of what we eat these days. However, we do eat our share of convenience foods as well. As much as I love to cook, the reality is I don’t have the time or the energy or the desire to make from-scratch food all the time. I purposely choose not to. I like knowing that I could, so I’ll try various from-scratch recipes from time to time. I think self-sufficiency is important. But I love that we live in an age where I don’t have to make everything if I don’t want to. It’s one less thing to worry about doing every day; convenience foods save sooooo much time. More power to you if you make all your food all the time. I respect and admire that. But I’m guessing that most of you out there are probably eating some amount of convenience foods. Unfortunately for you and me, a lot of those foods are going to have artificial colors and other junk in them. While this isn’t by any means an exhaustive list of dye-free snack options, it’s a good place to start gathering ideas. If you have any favorites you’d like to share, please leave a comment so we can all benefit from the collective knowledge. Please note that dye-free is not my only criteria for choosing snacks. I won’t buy items with artificial preservatives (TBHQ/BHT/BHA), artificial sweeteners (aspartame, sucralose), MSG, olestra, nitrates/nitrites, sulfites, or potassium bromate. I try to avoid trans fats too; but it gets tricky because companies can legally label something “0 grams of trans fats” when, in fact, it only contains less than 0.5 grams. That means it could have up to 0.49 grams of trans fats per serving, and that can quickly add up to surpass the suggested daily limit of 1-2 grams. A general rule of thumb for avoiding trans fats is to steer clear of partially hydrogenated oils. If you’re interested in why I won’t buy these things, I’ll link to some helpful articles at the bottom of this page. FYI, this list is just based off what’s in my kitchen right now and what I can remember buying other times. I’ll update it if I remember more or find new favorites. Center for Science in the Public Interest (CSPI) has a very helpful list describing all food additives. Australia’s Northern Allergy Center also has a full list of food additives and any harmful effects. A BusinessWeek article from 1996 shows that the dangers of food additives have been known or questioned for quite some time. Hungry For Change has a succinct list of their top 10 food additives to avoid. I love Greek yogurt. I mean, looooooove it, love it. The only thing I don’t love about it is shelling out a dollar or more for each delicious little container at the store. 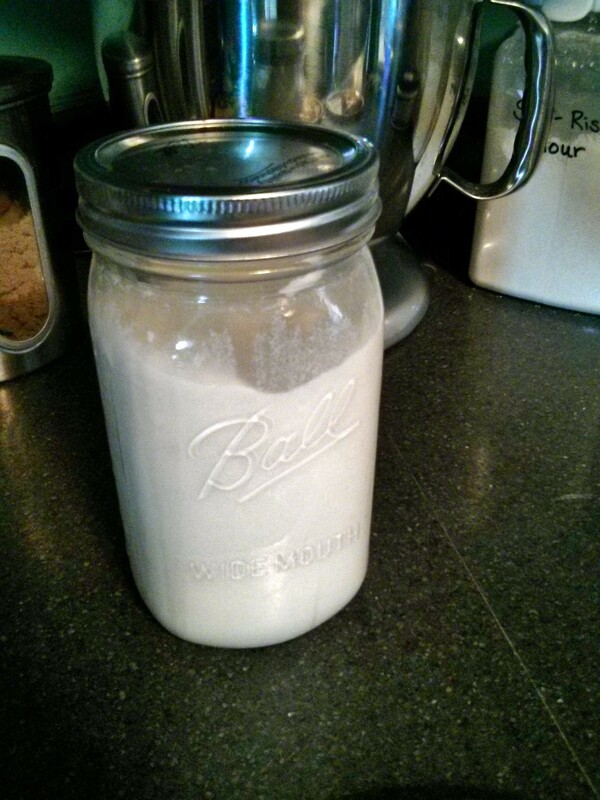 I found a bunch of different recipes and methods for making yogurt. Through trial and error I came up with one that is extremely easy with very little hands-on time (which is ideal for me, because with three littles running around I can’t be wasting a lot of time in the kitchen). All you need is milk (I usually do a gallon at a time, but any amount will work), a pot, some mason jars with lids, a heating pad, and a towel. 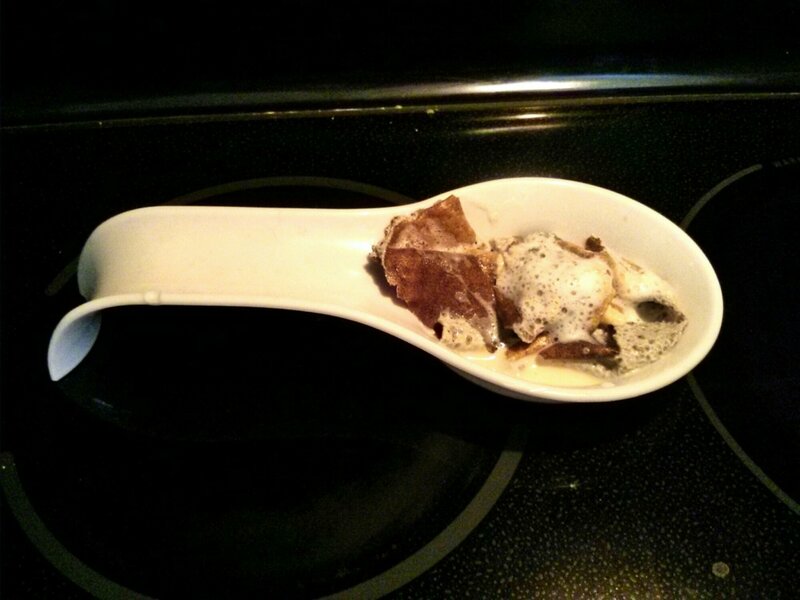 Optionally, you can use a funnel and strainer if you like your yogurt really smooth like I do. The first time you make it you will need to have a little bit of plain Greek yogurt as well. But after that just save a some of the yogurt from the previous batch to use in the next one. The best part about this recipe is how much money you save. A gallon of whole milk costs around $4 and makes about 144 ounces of yogurt. Generally, an individual container of Greek yogurt is 6 ounces and costs at least $1 – you’d need to buy 24 of these to get up to 144 ounces. That’s at least $24. Which means: Buying your Greek yogurt at the store is at least 6 times as expensive as making your own! I promise that making your own is painless! Give it a shot and put that $20 savings towards something better than yogurt, like a babysitter for date night. I’ve learned the key is using plain old pasteurized whole milk. 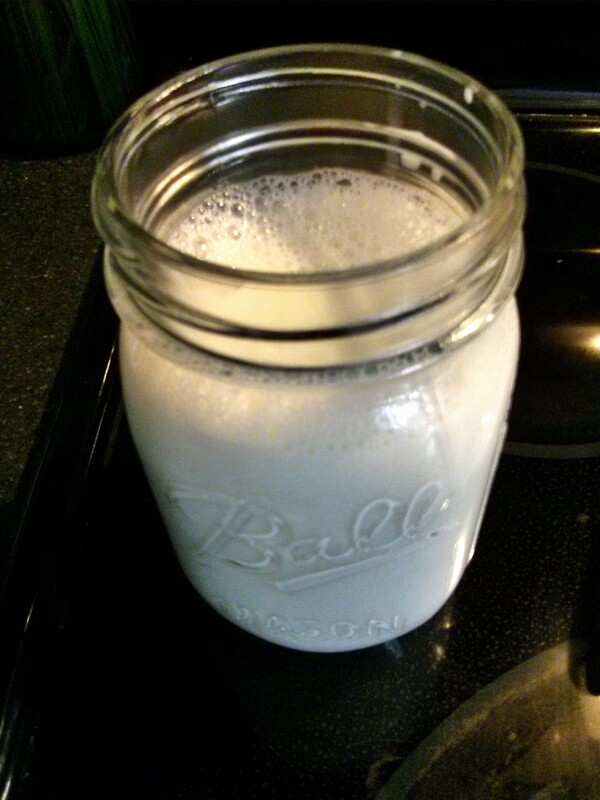 The ultra pasteurized milk doesn’t work very well; mine always ended up being runny. If you want a thick Greek yogurt like you’d buy at the store, then make sure you don’t get ultra-pasteurized. And make sure it’s whole milk. So creamy! I like to make a gallon at a time. It lasts up to several weeks in the fridge, and coincidentally that’s about how long it takes us to use it up too. 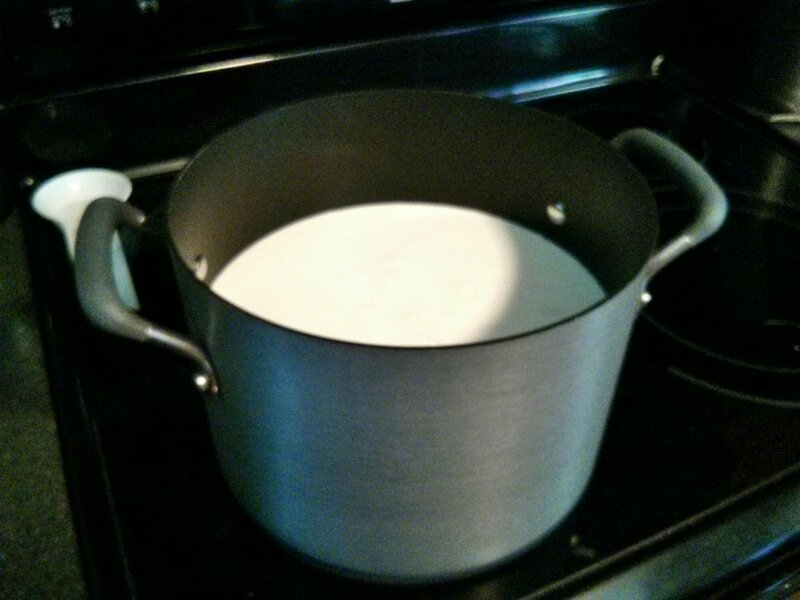 Whatever amount of milk you decide to use, the next step is pouring it into a pot. Now turn your burner to medium heat and walk away. Chase your kids around or, if you’re lucky, kick up your heels and relax for 20-25 minutes. Check on your milk about 20 minutes later, it should be boiling. Ideally you want to get to it before it’s a roaring boil, but if you get busy and forget about it (guilty!) all is not lost. It just takes longer to cool down if you overdo it. Turn off the heat and take it off the burner. I like to give it a good stir at this point, being sure to scrape the bottom of the pot a little. 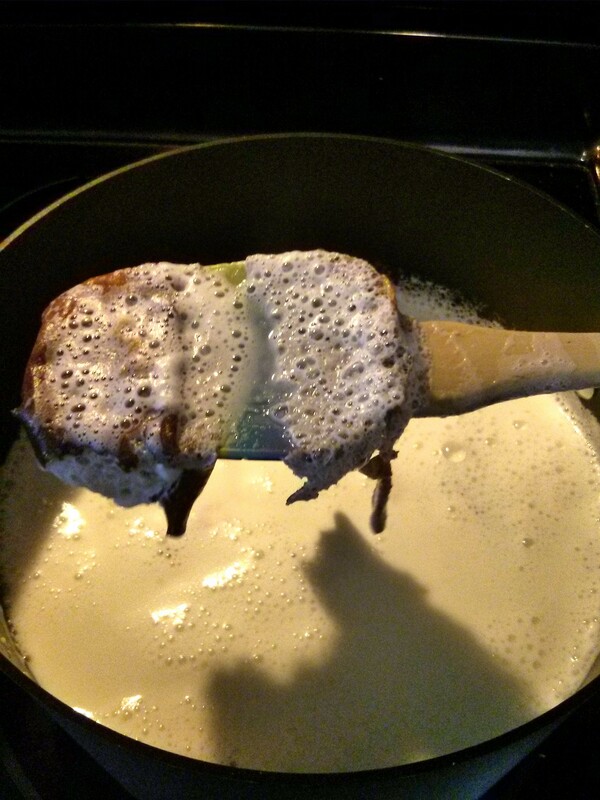 There is usually a skin of burned milk on the bottom of the pot that you want to take out at some point. If I’m careful I can usually manage to get it all out in a few long pieces with my spatula. Fish out all the large pieces of milk skin and throw them away. Leave your milk to cool for about an hour. No need to check on it or stir it. You can if you want to, but it’s not necessary. After an hour or so check the temperature. 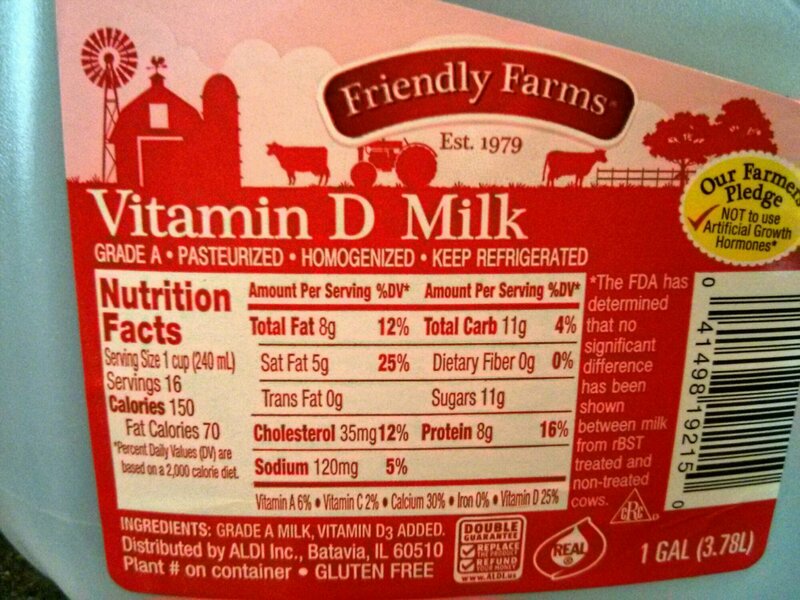 If you have a food thermometer you want the milk to be somewhere in the range of 110°-118°F. I shoot for close to 114°, because the next step is adding in yogurt. This will cool it down a little, and you don’t want it to go below 110° or the live cultures in your yogurt won’t multiply. You also don’t want the milk too hot or you’ll just be killing the cultures. 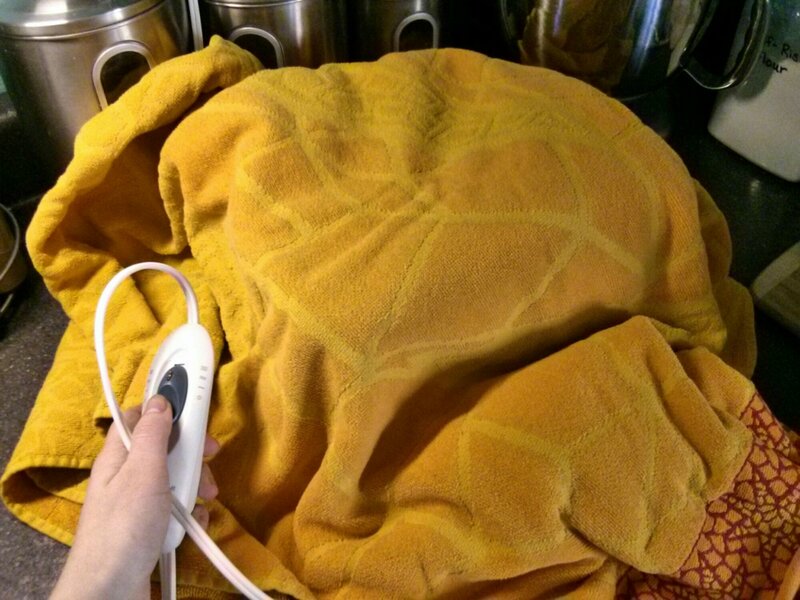 If you don’t have a food thermometer, you can check with your finger. It should feel hot, but not hot enough to burn you…and hotter than just warm (technical, I know). Be careful not to burn yourself! If your milk is too cool when you check it, just turn the burner back on low for a couple minutes, stirring to distribute the heat, until it’s where you want it. This is great if you forget about your yogurt project while you’re entertaining kiddos or cleaning the house (again, guilty!). **Important notes: 1. Make sure your starter yogurt says it has live cultures, or none of this will work. 2. To complete these next few steps you’ll need about 15 minutes of uninterrupted time. I try to make it so this step falls during nap time. When your milk is at the right temperature, stir roughly a tablespoon of plain Greek yogurt into about a cup of the milk. I use a fork to whisk it, because it seems to dissolve better that way. You don’t want to over-whisk it and kill the cultures. Mix until it’s mostly dissolved. Pour your yogurt milk back into the large pot. 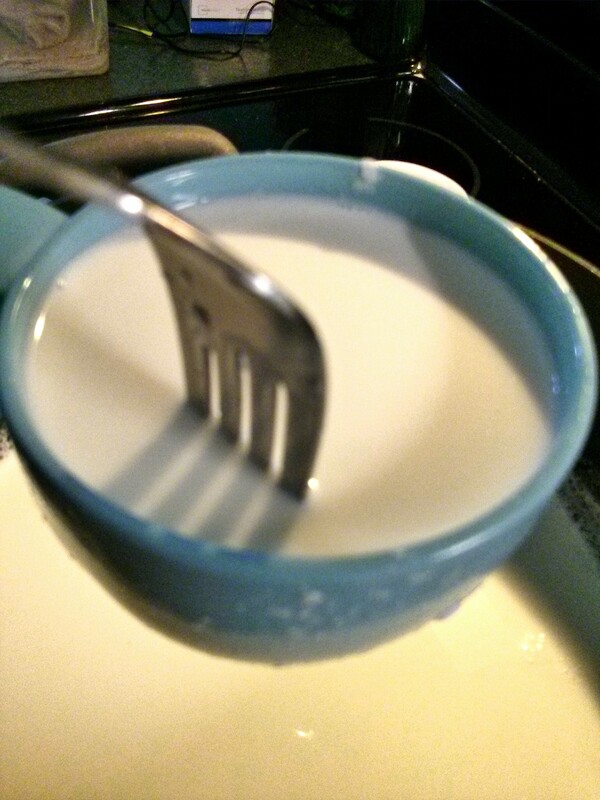 Stir slowly with your spatula for a minute to distribute the yogurt cultures throughout the milk. If you haven’t already, get your jars and lids out. Set up your funnel and strainer on the jar, if you’re using them, and start scooping milk into your jars with a ladle or measuring cup. Things can get a little drippy, that’s why I put a towel over the crack between the oven and the counter – one of the most annoying places to have to clean. 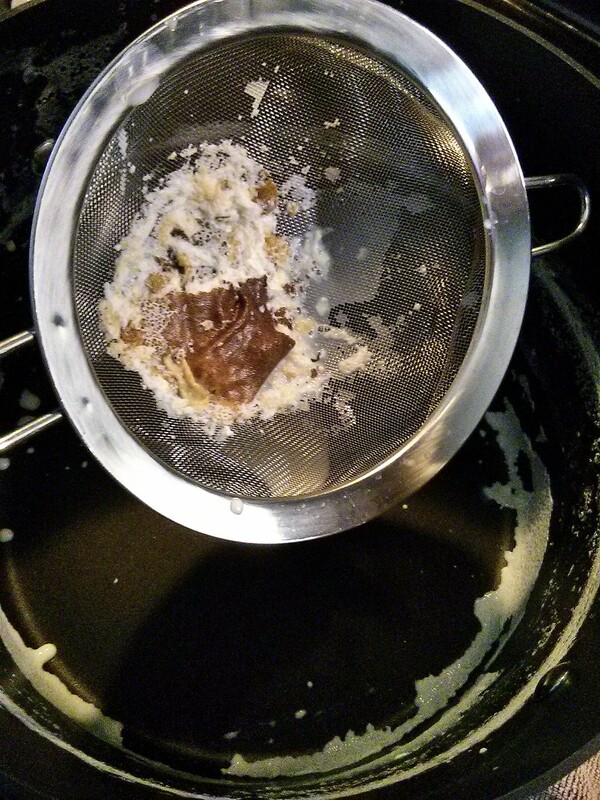 This is why I use a strainer. Catches any gunk you missed with your spatula before. I use the pint sized Mason jars for my yogurt. I fill them up to the neck and it makes about 9 jars worth. Put your jars on the heating pad. I put mine on the medium heat setting, but I’ve tried it on low and high as well. They all work. You just want to keep them nice and toasty without making them too hot – the cultures like to reproduce (which is what turns your milk into yogurt) around 110°F. Now put a big towel on top of your jars to help hold in the heat. When your yogurt is done cooking put it in the fridge. 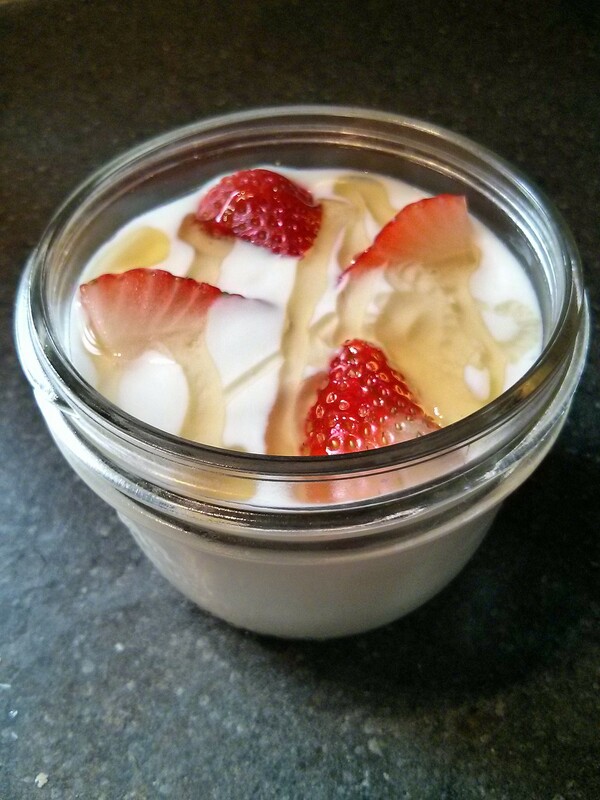 My favorite way to eat Greek yogurt – fresh fruit and a little honey. Mmmmm! 1. 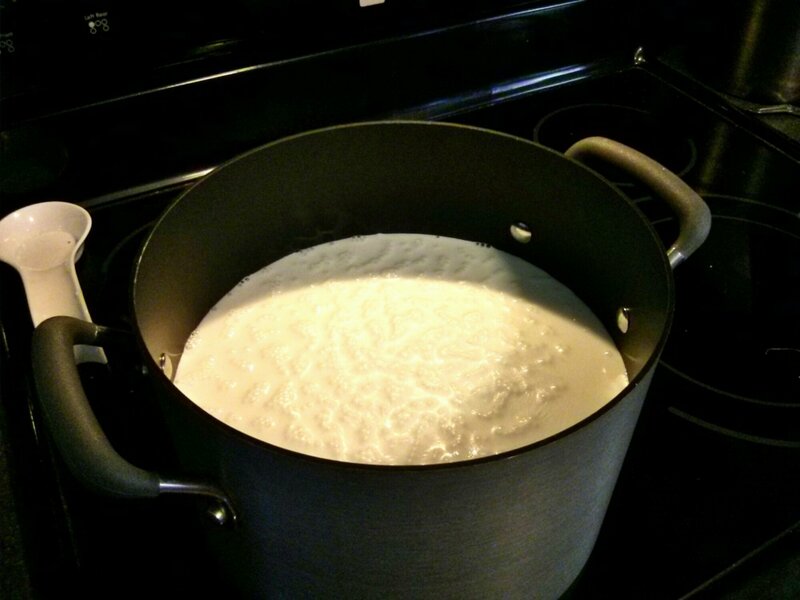 Heat gallon of milk in a large pot to around 180 degrees, or until just boiling (about 20-25 minutes). Turn off burner and remove from heat. 2. 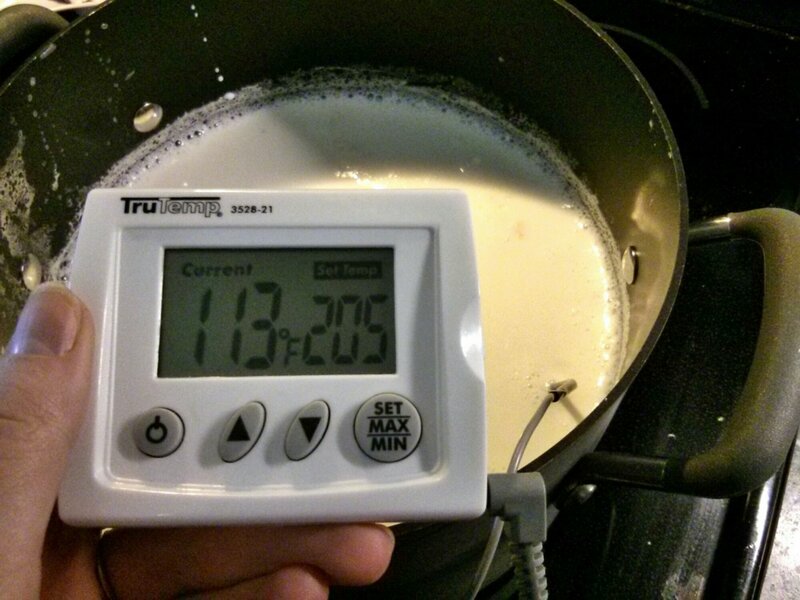 Let milk cool to approximately 114 degrees. 3. 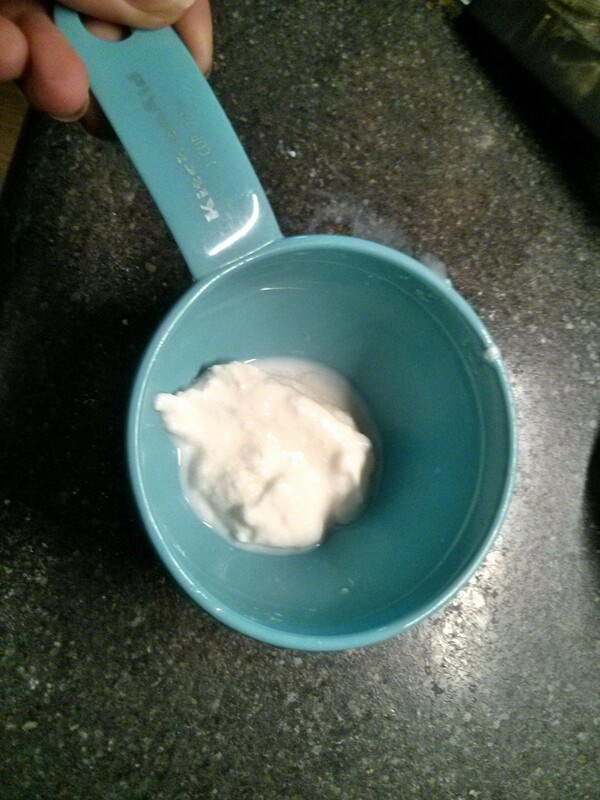 Mix 1 Tbs of plain Greek yogurt with 1 c of the cooled milk. 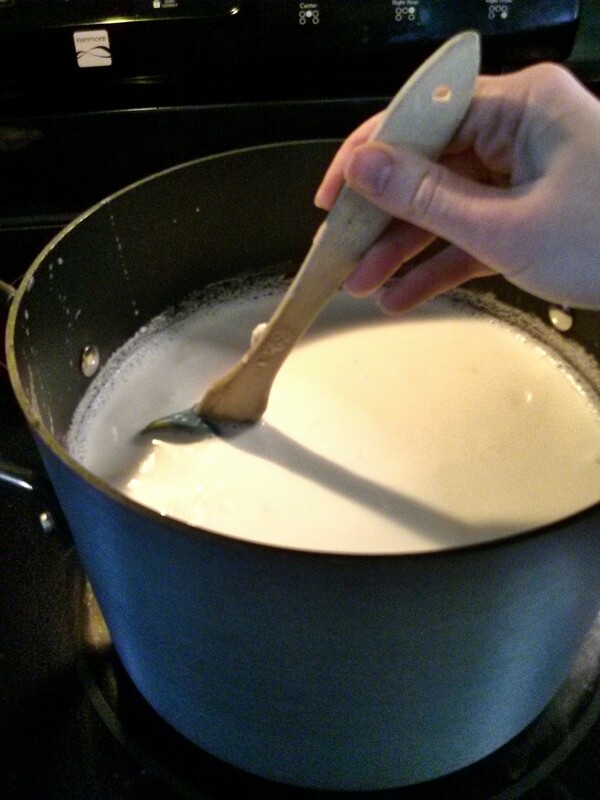 Whisk gently with a fork until yogurt is mostly dissolved. 4. Pour yogurt milk back into the large pot and stir softly for a minute to distribute the live cultures. 5. Line up 9 pint sized Mason jars and lids. 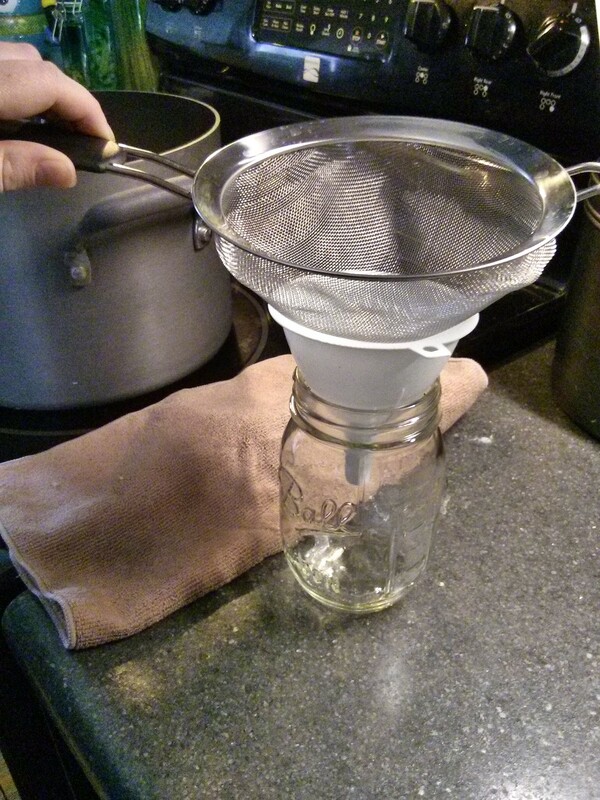 Place a small funnel in the first jar with a strainer on top of the funnel. Using a ladle or measuring cup, begin scooping milk from the pot into the jars. Fill to the neck of the jar, then fasten the lid. 6. 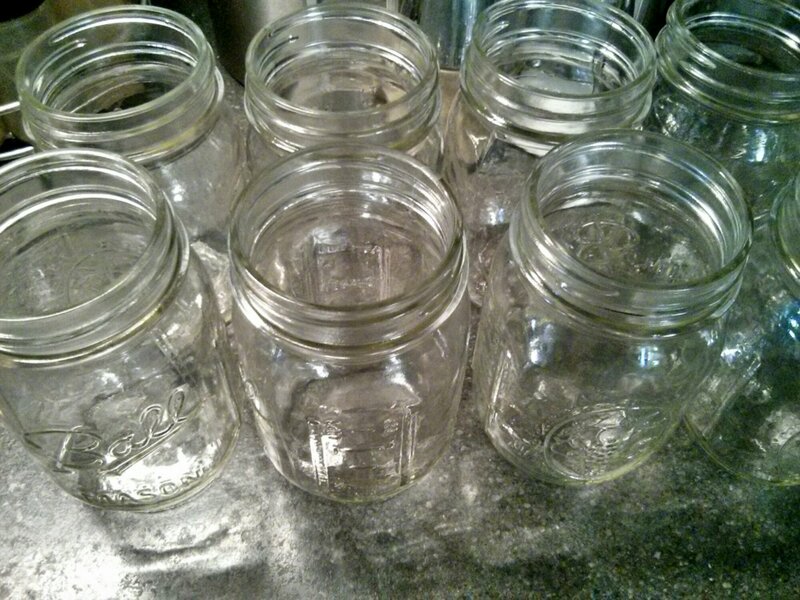 Place the full jars on a heating pad set to medium heat. Cover with a large towel to insulate. 7. 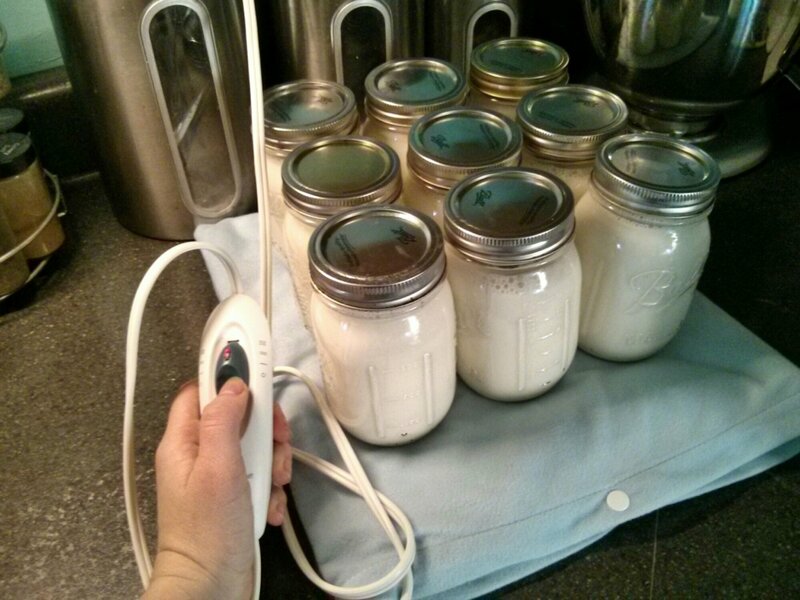 Cook yogurt on the heating pad anywhere from 7-11 hours, depending on the consistency desired. 8. When the yogurt has cooked, place all the jars in the fridge. Will keep for about 3 weeks.